Want to adopt a jumbo? Or take home a blue whale for your fish tank? Then don’t visit the Littlest Pet Shop. It’s far too teeny-tiny for that. But then again, do visit. Why? Because it’s full of adorable itty-bitty pets dressed in Blythe’s totally fabulous fashion designs! 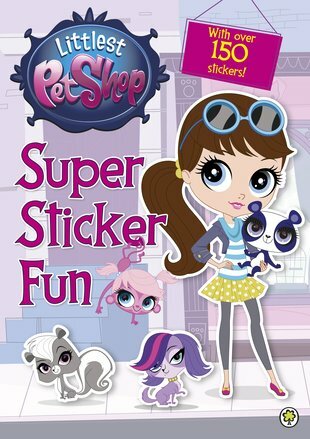 Join Blythe and her perfectly dressed pet pals in this sticker funbook, which has over 150 stickers to help dress the cuddly pets up. The Littlest Pet Shop might be small, but it’s big on fun – and style!